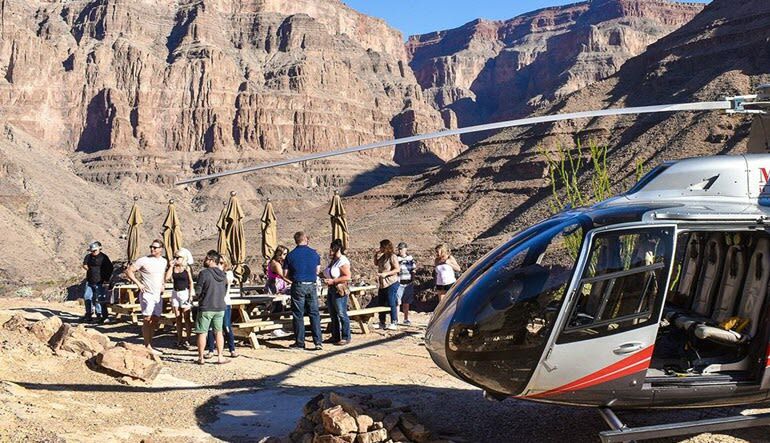 This Grand Canyon sightseeing flight guarantees a whole lot of airtime with both a plane ride and a helicopter tour. In fact, the full excursion spans an amazing six hours! Often when people visit Las Vegas, they stick to the Strip. The familiar sounds of slot cha-chings and tableside banter is what they came for. But there are others. There are those of us who recognize that the real wild side of Vegas resides not in the casinos but rather in the sprawling desert. This is the trip for them. Get picked up from your hotel and shuttled to the first leg of your journey at Henderson Airport. Hop aboard the plane and take off! You’ll fly over the Hoover Dam, Lake Mead for a slew of photo opportunities and dormant volcano Fortification Hill. 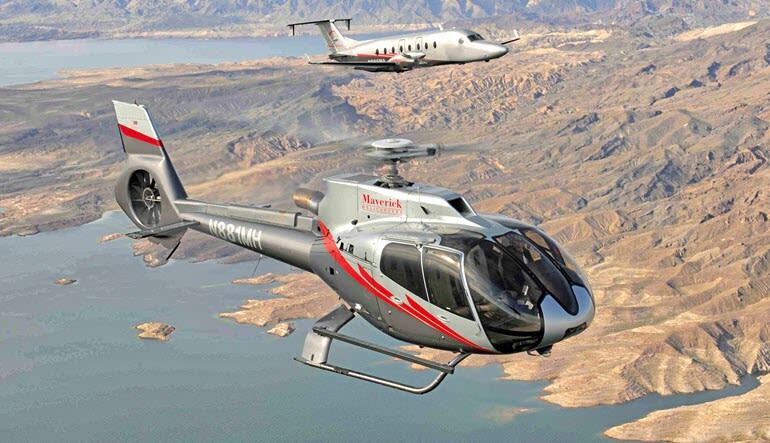 Finally, touch ground at the Grand Canyon to board your luxury ECO-Star helicopter! 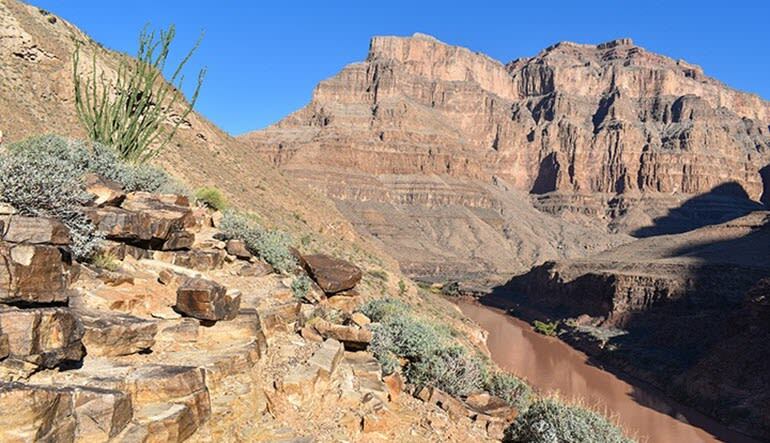 From here, descend 3,500 feet into the Canyon above the Colorado River! After the heli ride, you’ll be shuttled to either Eagle Point with the 4,000-foot Skywalk or Guano Point here you’ll see remnants of 8,000-foot Historic Tram! There’s a whole lot more — Native American villages, Highpoint Hike, the Amphitheater... This choose-your-own adventure flight is the most fun you’ll have in Sin City! Choose between a wide variety of attractions at Grand Canyon West, including Eagle Point, the Native American Village, and Guano Point.